Confucius say: If normal work = 15 minutes in the yard, no try impress garden helper by digging 2 hours. Ouch, my arms! But I had to take advantage of the first ever clear day we've had since the beginning of the month. At the time it felt good to get going at the weeds with some company (Work/talk ratio was maintained consistently. He did 80% of the work, 20% of the talk while I did the same in inverse proportions). 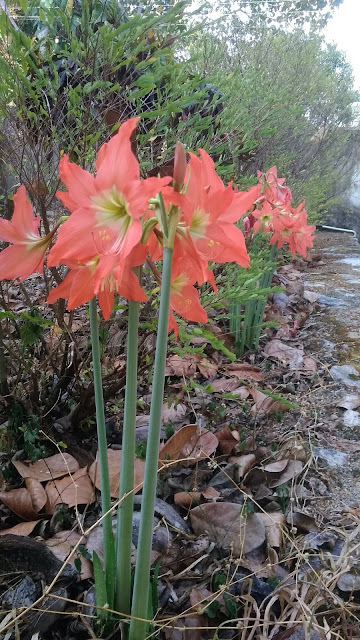 Please attribute any spelling errors and all creepy pics in this post to my overenthusiastic gardening today. Remember my earring organizer from 2010? I wrote about it here. It has stretched so much. (Costume jewelry hoarding problem - who me???? Naaah!) And I don't think I'll be able to fit in even one more pair in there. They are slightly wonky, but very practical! Lots of room up there, hmm!!! And if I run out of space, I can always make a new square! Also preening a bit because I thought this craft up all by myself! Now, what to do with the old one once I clean it up? I'll think of something! And the clear day has ended officially as we're having a fantastic shower right now! Wow cool idea, Sreekala... 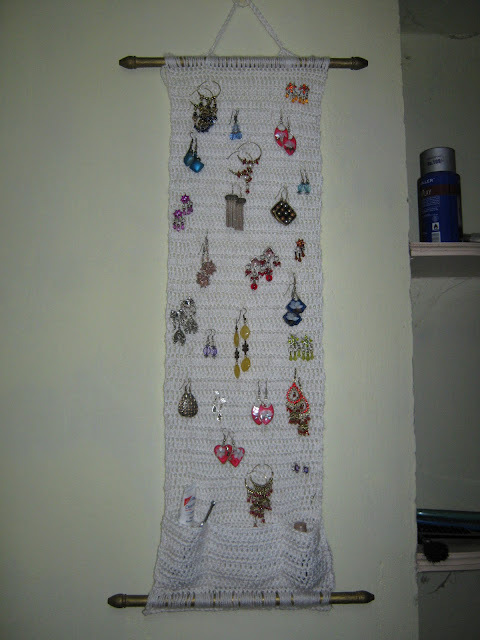 I can make wire frames in different shapes, but my crochet skills are bad..all I cna do, are rounds in the same stitch..still, this is a great way to display my Swardaa wares... and my own collections... Thanks...!! As if the monsoon storms were not enough!